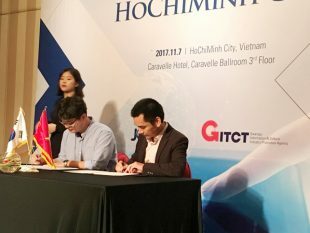 Nov 7, 2017, the morning at Caravelle Hotel, “KOREA ICT/SOFTWARE BUSINESS MEETING 2017” was organized by Cultural and Information Promotion Institute of Jeonnam (JCIA) province and Gwangju (GITCT) province with supporting from Computer Association of Ho Chi Minh City. 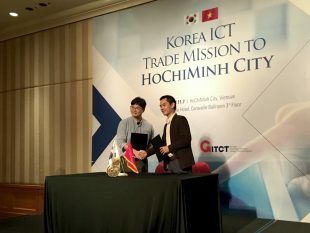 JCIA and GITCT were established to support the development of the ICT industry in Korea and software companies in the region. Through this event, companies of the two countries will have the opportunity to meet, learn and expand business cooperation in the fields of ICT/Software.